Today was the day we would finally be able to say we've visited all of Japan's four major islands! During our last trip we'd managed to visit Honshu, Hokkaido and, albeit briefly, Shikoku. This just left Kyushu to go and with the week or so we allocated it'll take second place out of the islands when ranked by the amount of time we’d spent in each (after Honshu). We hadn't yet quite finished in Honshu though, and had allocated the first half of the day to a trip out to the Toyota factory in the nearby city of Toyota. After the factory tour we'd then head more or less straight to Beppu in north eastern Kyūshū. Interestingly, even today, and really right up until the last minute we could either decide to go by train or plane. This was because not only did we have the rail pass, but I had also managed to pick up some really cheap flights from Nagoya to Fukuoka (northern Kyūshū) as part of Jetstar Japan's new route sales. 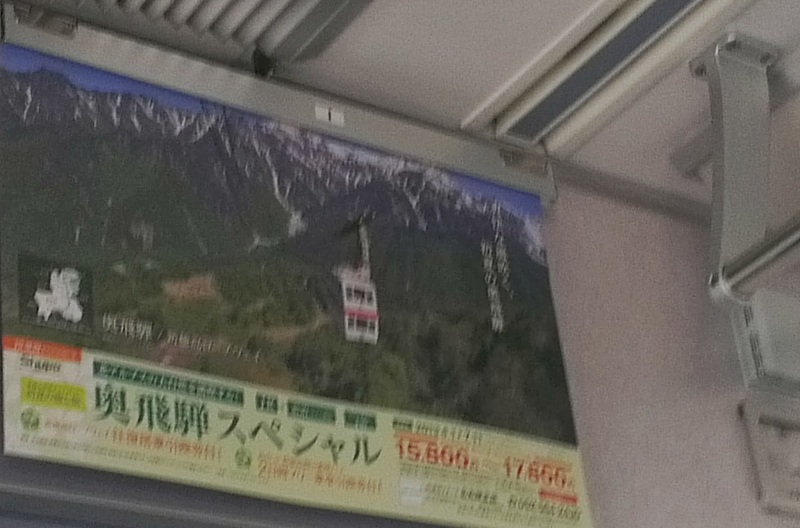 The flights were actually advertised as only ¥1, though once we added baggage and taxes the total came to around ¥1500 yen each ($15). I really suffered quite a bit trying to reserve the flights as it was a Japanese language only sale and the website completely and utterly collapsed during the hour the sale was on. One yen flights were at stake though so I kept plugging away for the whole hour! Eventually I managed to get some when Jetstar apologised for the mess and extended the sale for another hour. Moreover, I actually booked our flights well before we had decided upon an itinerary and their presence greatly affected our plans. Half the reason we dropped further exploration of Shikoku this trip was because we couldn't make it work with the flight. Now, after all of that, we decided to not even bother with the flight! After having a good hard look and think about train and plane times it turned out that it would take us the same amount of time to get the train! It would also be cheaper, far less hassle and we’d arrive at the same time. This was because although the flight was only 1 hour and 30 minutes, we'd have to get to the Central Japan Airport (30 minutes + ¥850), arrive early (1 hour), get off the plane, collect our luggage (40minues-ish) and then catch a train to Beppu (2.25 hours). That's well over five hours, plus planes could get delayed, they're a hassle, uncomfortable, I'd have to worry about packing my overstuffed bag to the strict weight limit, etc. To catch the Shinkansen to Fukuoka (ish) and then to Beppu would only take us five hours with two easy transfers- plus it was all covered under our Japan Rail Pass. I really have no idea why we even would even think about the idea of possibility considering to perhaps take the plane option. Anyway, presently we had just woken up, got ready and now needed something to eat! After checking out and leaving our bags at the hotel, we walked over to Nagoya Station and both decided upon the same egg and toast thing I had yesterday. After going into the little restaurant we were initially directed to the back where there were some smokers; I asked for a front seat though, which was no problem. Our meal were pretty cheap, simple and quick, egg and toast as mentioned as well as a glass of hot milk for Kate and cold milk for myself. The speed was just as well since we actually didn't have a whole lot of time. The Toyota plant tour we had registered for online, required us to arrive at the Toyota Kaikan Museum by 10:30am. As mentioned earlier Toyota City is located about an hour train ride away, and the museum another fifteen minutes walk from the Mikawatoyota Station. 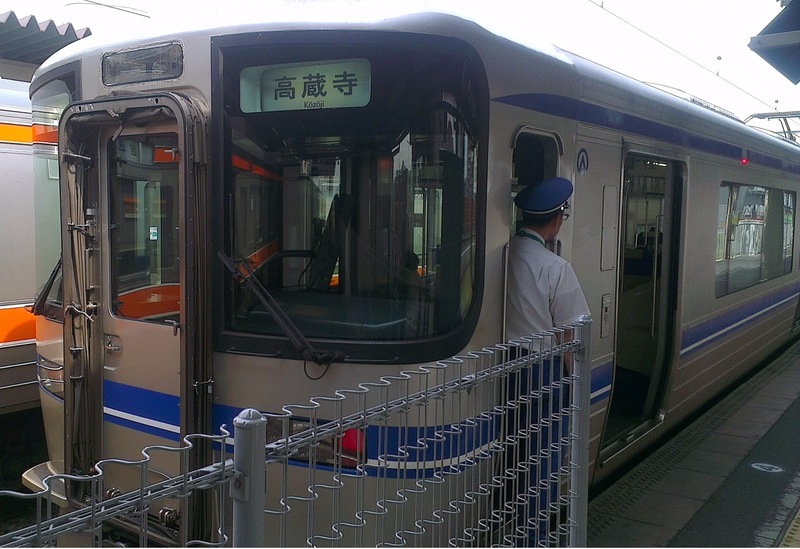 It's also possible to get the subway from Nagoya to Totoya-shi station (50minutes) and then catch a bus from there to the museum (15minutes). We decided upon the earlier method though as the first half was JR rail and therefore a little cheaper (with our JR passes.) We also liked the fact that we would not have to rely on a bus connection. The route we had to take was a bit strange though- basically we could catch a JR train north to Kozoji or south to Okazaki, and from there change to the non JR Aichi loop line. 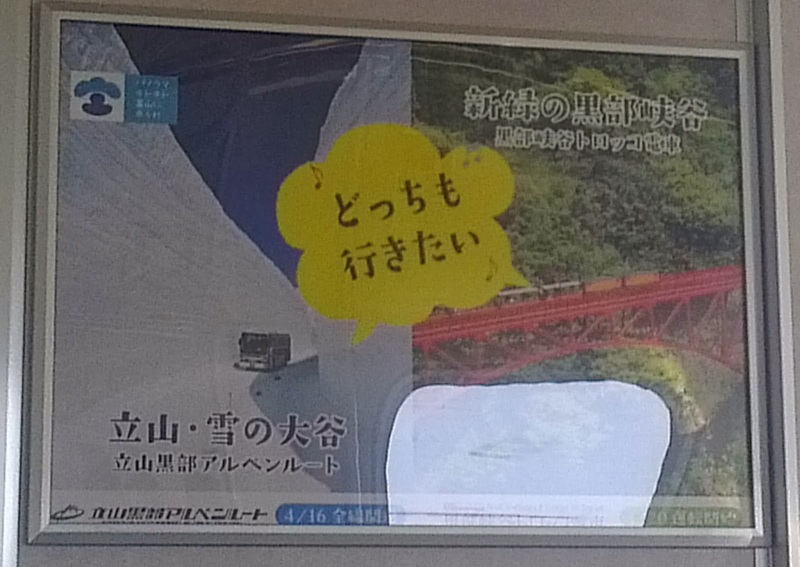 I think we decided upon Okazaki as it was a little closer (and therefore cheaper) to Mikawatoyota station. The factory tour, by the way, is completely free! All we had to do was book it online which you can do a few months before the date you want. We had actually left our booking to only a couple of weeks beforehand and today was one of the only days still available- so make sure you do book well in advance! 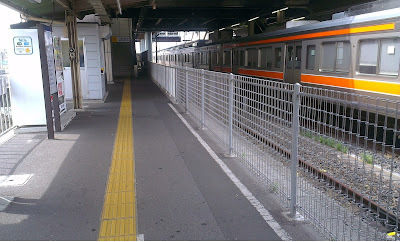 Right, with breakfast finished, we made our way over to the relevant platform and caught the 08:45 JR New Rapid Train to Okazaki. 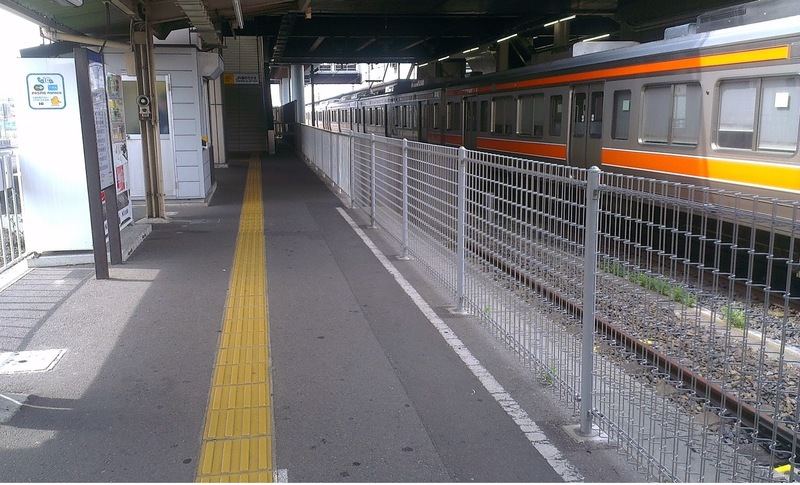 Thirty three minutes later we arrived, alighted and walked over to the Aichi loop line platform. We were a bit confused at first though since there were no ticket gates to pass through and no place to buy a ticket. Our confusion was alleviated when a staff member walked down to the platform and started selling tickets from a little window a few minutes before our train was due. The next train ride was comfortable though the weirdness continued; we had to change carriage halfway as the train split into two independent halves! Luckily there was a conductor on the train who asked where we were going to make sure we didn't get whisked off to some distant land. After a thirty two minute journey we arrived at Mikawatoyota and next had to work out where the factory was. It was actually a little tricky since not only where there a lot of buildings related to the Toyota company, every other business also seemed to have Toyota in the name. It was the city’s name after all. Thankfully, Google maps were a big help and we were soon on our way. The walk was one thousand two hundred metres long and after heading south along the railway line we turned left to walk alongside a fairly major road until we reached the factory. One thing we happened to notice was that there were a lot of Toyotas, Crowns and Lexus cars driving around. I guess it figures. The museum was inside a fenced area that also included a large car-park and a tall building presumably filled with offices. The car park had an even higher proportion of Toyotas though it wasn't quite one hundred precent. I wonder how it would feel to be one of the few employees driving a competitor’s car? After walking in through the gates, we headed to the right and found the museum as a relatively short (but long) building. Out the front was a security guard who welcomed us in. Upon arriving we went straight to the front desk to sign in. There were two independent tour groups, English and Japanese and the lady taking the English group spoke the best English I'd ever encountered in Japan; I didn't even try and speak any Japanese. Anyway, once we were marked off the list we were told that the tour would leave at 11:00am, and that we were free to look around the museum until an announcement that would tell us to gather. We were also told that electronic devices and bags were not allowed on the tour, so we had to make sure to store it in one of the free lockers sometime before 11:00am. She also mentioned that a Toyota robot would play a song at a certain time. The first half of the displays were a variety of different cars currently manufactured by Toyota. We were completely free to climb inside to have a good look. The cars had their RRP's on them and I think the most expensive one there was a Lexus. It was amazing how many buttons were inside that car! I really like buttons. There were also some small cars on display that had been decorated, as well as a Prius. After these cars there was another section that contained some specially cordoned off racing cars. One of them had been used in an actual race (the 2010 Nürburgring 24hours race) and was a little beaten up. There were also a few older looking cars here as well. It was interesting looking at such old cars in such good condition. Apart from the cars there was also a bunch of displays explaining how cars and Toyota's special technology works. With these displays we could see what the cars looked like inside without the main body, the types of engines were also specifically on display. This is that race-car I mentioned earlier. Back near the front of the museum there were a few ideas about what was apparently the future of transportation. Honestly though, they looked like pretty gimmicky overgrown Segway type things; i.e. why not just walk. Also, if they did become widespread I’m sure they would have to be a lot wider. We did get to have a sit in one of the devices though- which was fun! Finally, at the prescribed time we went over to the front of the museum to hear the Toyota robot play a musical song. All in all it wasn't particularity impressive- he took a few steps forwards and held a trumpet up to his face. I think the fingers moved a little too but yeah... I guess it's better to leave the robot stuff to Honda and Asimo. After the robot I think we stashed our stuff in the lockers and short while later an announcement was made asking all those going on the tour to please gather near the reception desk. A group of about twenty or thirty people appeared and after a quick check we boarded one of the two buses waiting outside (the other was for the Japanese group). Once everyone was seated and buckled up, our bus took off and the tour guide lady explained that we would be going to the Takaoka factory (I think). There are actually a few different factories you can go to as part of the tour though there is no way to pre-register for a certain one. The others included factories focusing on things like painting, welding and manufacturing. I think the welding one probably sounds the most interesting just because of the flash bang aspect, the appeal of the manufacturing would be to see the cars actually pieced together- would probably not be too excited by the painting… but who knows. Anyway, as we drove our tour guide gave us some information about the history and such of Toyota and also conducted a quiz. We learnt that the company was founded by Sakichi Toyoda, and the name comes from the guy's last name except the ten-ten (two dashes used for voiced sounds) on the name are dropped and it's written in katakana. Oh yeah, cameras were banned on the tour so please continue to enjoy these museum photos instead! No parking rebate for those traitors!!! The Takaoka Plant was located a decent drive away, something like half an hour or so and once our guide had finished talking we drove along in silance. After arriving we got off our bus and followed the tour guide into the factory and up some internal stairs. At the top we came to a gantry type walkway that led around the outside of the factory. Since we were high up we could easy look down to observe the activity below. The pathway had been specifically set up for tours and along the way there were a variety of displays and TV screens explaining what was going on below. Our tour guide also stopped at various points to explain in more detail. I think the first section we saw was where the workers would come and get their orders, and parts. I think they got a card saying what they needed to put together on a particular car and they would then go around and collect the various parts they needed. 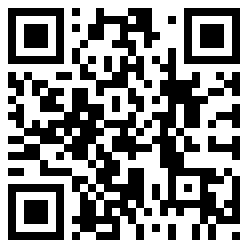 This QR code links to this blog! Each time they got something they'd scan the item's QR code with an electronic device that was used to keep track of everything. QR codes are those two dimensional bar-codes that seem to be everywhere these days but they were actually originally developed by a subsidiary company of Toyota way back in 1994! They were created to serve the very same purpose we saw them being used for at the factory and Japanese kanji characters are one of the four basic types of information that can be stored on a QR code (the others being numeric, alphanumeric and binary). The tour guide didn't mention any of this but it was quite cool seeing the origins of something that has become so ubiquitous these days. The next major section we went to was where much of the internal trim of the car was installed. It was quite surprising how much was done by hand since for some reason I imagine everything these days to be done by robots. The parts were actually mostly installed by hand and each person along the chain would install a certain set. Everyone worked in time and all the while the cars would automatically move forward. Since the floor also moved, and all the tools were suspended from above, the workers were able to keep up with the cars. Once they had finished, they'd then walk back up the line to start work on the next one. The tour guide stopped us here to talk about a few innovations used in the process, such as the fact that the tools used can detect things like how many times a screw has been turned and alert the worker if something isn't fastened correctly. Another innovation involved a system that let workers quickly call for assistance and even stop the whole production line if they encounter difficulties or need to catch up. Aha! This one goes 280kmph! A bit further along we came to another area where the doors were being taken off the cars. This task was completely automated and performed by robots with the car body and doors remaining in the same sequence for re-attachment later. There was a reason they attached, detached then re-attached the doors though I can't quite remember what it was. It may have been something to do with painting? Or maybe to make assembling the cars easier? A bit further along we came to a part of the tour that didn't feature the actual factory but was instead a large area containing a number of interactive displays. I remember one display in particular that tested to see if you had the speed and precision needed to work in the factory. Basically what you had to do was wrap a rope around a number of pegs in the correct order and directions in a handful of seconds (maybe two little handfuls). After watching a couple of (admittedly, slightly frail) people fail, I gave it a shot and was able to beat the time by a whole second! There were a couple of other challenges like this but unfortunately I didn't get to try them all as we stayed in this area for only a short while. After the displays we moved on to the final part of the tour where we got to see more cars being moved around and the doors being re-attached. We also stopped to watch a video that explains the testing the cars undergo before being declared finished. Basically it seemed like someone just hops in to take it for a spin to test the brakes, steering and so forth. With that, our tour was over! We descended back down some stairs and walked over to get back on the bus. On the way back, the tour lady answered various questions people had about the factory and Toyota. For whatever reason most of the questions revolved around the workers and their conditions (hours, female employees, overtime, breaks, calling in sick). 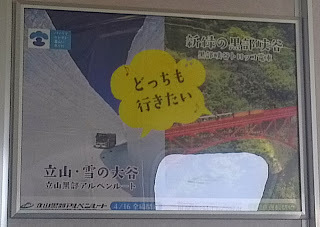 I guess people were curious about the realities of the oft heard harsh working conditions in Japan. Once we arrived back at the Toyota Kaikan Museum the tour officially ended. Before we collected our items from the lockers the tour lady said we were free to continue looking around the museum and if hungry we could get some food at the Starbucks or another restaurant located further down the building. Since we had eaten hardly any food for breakfast and it was already 1:30pm we were both absolutely starving so gladly took the second option. After collecting our valuables we found the shops and decided upon Starbucks since the other place didn't look particularly appealing (mainly fried foods). As with the tour guide, the staff at Starbucks had fantastic English; this area looked to be a place for investors/business partners etc. so I guess it's important to make sure all staff speak at least Japanese and English. They even had quite strong American accents! So anyway, for food we both got a sandwich as well as a banana muffin (still no cherry muffin) for me and yogurt with muesli for Kate. For drinks, it was steamed milk and hot chocolate for Kate and I respectively. With lunch done it was time to head back to the station and begin our long journey down to Beppu in Kyūshū. While we were walking I noticed someone for our tour group waiting at a bus stop along the way; probably bound for Toyota-shi station. Also along the way we stopped at a convenience store and picked up a couple of drinks each. To make up for my muffin I got this delicious cherry flavoured drink; Kate got a couple of caffeine free coke zero's. The train trip back was similar to the one there though this time we were able to buy a ticket from a proper machine, and rather than splitting into two, the Aichi loop line trains re-joined along the way. By the way, the loop line isn’t actually a loop, just a slightly curved line. Once back at Nagoya we walked over to the hotel to collect our luggage. A short while later we returned back to Nagoya Station and were very surprised (due to the mass of people) to see the very lady we had seen earlier at the bus stop! We beat her! Right, so all we had left to do then was go to was use our rail pass to reserve tickets and then walk over to the shinkansen platforms to get the 15:45 train to Kokura. We actually had to catch a Kodama train to Shin-Osaka first, and then change there to a Sakura. Kodama are the slowest class shinkansen on the Tokaido line and we hadn't had the chance to catch one before now since it would usually be quicker to wait for a faster Hikari. Not so this time though. I don't have much to say about the Kodama, but the next train, the Sakura, is one of my favorate types in Japan. This is because the as the reserved seats have power points available in each row which I gladly used to keep my phone powered up. After 3 hours and 33 minutes we arrived at Kokura Station! It was past dinner time so during the twenty minute transfer we quickly ducked into convenience store to buy some simple snacks like chips. It didn't seem to be a particularly good store or busy station- so that was it for dinner. At 19:41 our Sonic train arrived and we lugged ourselves and our luggage aboard. The Sonic was quite interesting inside and looked like it would have been quite fancy when it was first put into service. The area connecting the two different cars was very long, spacious and was decorated with some calligraphic artwork. We soon settled into our seats and snacks. Oh yeah- we also had power here in car one as well! After another seventy minutes we finally arrived at Beppu Station! 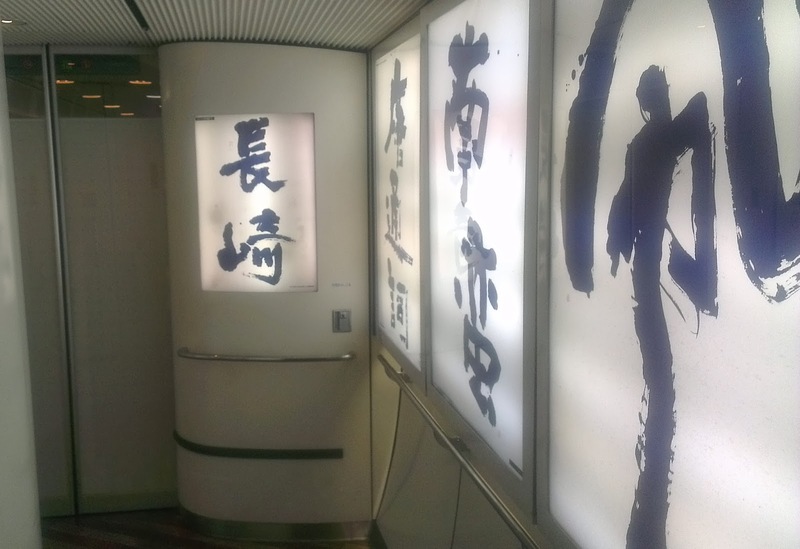 Although our journey was pretty long, we didn't feel particularly tired and had quite a comfortable and relaxing trip. Our hotel was a located a little ways from the station near the ocean and once we'd worked out our bearings we set off trundling down the street. Our first impressions of Beppu were not fantastic- we thought it looked a bit dodgy and dirty! I think this just may have been the time of night though as it seemed perfectly fine and clean the next morning. We got a little tired dragging our luggage all the way down the street and were dismayed at the end when we realised we had to cross underneath a main road. It was quite a struggle wrestling our bags up and down the long steps. For the next two nights we were staying at the Nishitetsu Resort Inn which was one of the few hotels we had been able to pre-pay online. So we were a bit surprised during check-in to discovered that we still had to pay another 600 yen! This turned out to be the bathing/hot-spring tax which we'd often seen mentioned but had previously always been included a part of normal rate. It was only 150 yen each a night at any rate so we happily paid up and received our key. Arr!! This bathroom water be good to drink! Our room was alright, though certainty not one of the best we'd stayed in so far. It was perfectly clean and serviceable though. Speaking of hotels and such, the night after next we'd be staying at a hot spring hotel in Tsuetate and were a bit worried that they didn't have our booking since they hadn't replied to any of our emails. 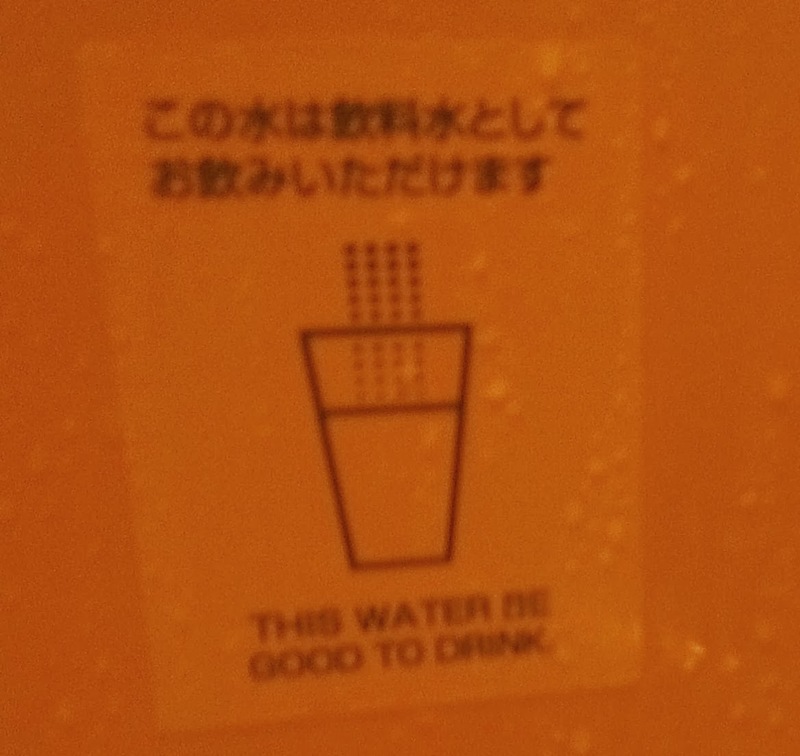 I had written them in both Japanese and English, which worked for other hotels, but not this one it seemed. I actually had a terrible time trying to get the Japanese encoding set up properly as their websites online email form appeared to be turning everything into mojibake. I'm not sure why we sent emails asking to confirm out booking- I think because I wasn't sure if I had included my dietary requirements when we booked. It might also have been because it was our first hotel booked on Jalan and we were feeling a bit uneasy. We were able to log on to Jalan and it showed everything was booked but we decided to try giving them a call just in case. Our hotel phone didn't look very friendly (I think we needed a phone card), so once we'd settled into our room I set out into the night to find a pay phone. Back through the tunnel on the other side of the road I managed to track down a phone but unfortunately I (eventually) realised that it wasn't working! A further search yielded another phone where I realised that I didn't have a copy of the proper phone number! After a few agonising minutes on my mobile phone’s internet I managed to track it down and at length somehow worked up the courage to dial. I hate talking on/fear the phone in Australia, so I was super scared to be doing it in Japanese! So I took the plunge and dialled! Did I have the wrong number? Was it disconnected as the hotel closed down? Was it engaged? I decided it was probably the latter option and tried dialling a few more times. This was actually quite an ordeal as I had to really build up my courage and go over what I was going to say in Japanese each time. Eventually I managed to get though and after the fuss conversation went very smoothly. I said I had a hotel booking and that I wanted to confirm it and the guy on the other end asked for the names and dates. I complied with his request and he confirmed that we were booked to stay! While on the phone I also checked to see if they knew about my onion thing, and they did. I thanked the man on the other end and was finally able to walk back to the hotel, shower and collapse into bed. Tommorow we're going to hell! More than one actually, as it will be our first day exploring the geologically active Kyuushuu and we planned to visit the famous bubbling hydrothermal Hells of Beppu! Have you been on or are you considoring the Toyota Factory tour in the city of Toyota? Really enjoying your blog. We're going to Japan in a few weeks' time and you've given me some hints on what to see! Though we don't have the advantage of knowing any Japanese, so it shall be interesting. Thank you very much for reading my blog- I'm really happy to hear that you're enjoying it! You'll definitely be fine without knowing Japanese; knowing just English is actually big plus as important things are translated. Also an interesting a holiday sounds good in any case- I'm sure you'll have lots of fun! Oh and thank you for taking the time to leave a comment!